What other qualities should you be looking for in sheets to keep you cool? Robbins also suggests looking for breathable fabrics, sheets that promote temperature regulation and companies that make research a priority so you know their on-product claims are supported by evidence. Say goodnight to tossing and turning once and for all with these sheets that are ideal for keeping cool all night. Forget standard cotton and drift off to sleep on these ultra-silky sheets made from eucalyptus. They’re great for hot sleepers, since they’re naturally cooling to the touch and super breathable. As an added bonus, the eucalyptus fibers are naturally hypoallergenic and ideal for sleepers with sensitive skin, since they don’t trap bacteria like cotton does. This company spent years researching and developing their sheets to get them just right and has even had them tested in sleep studies. They were originally designed for spas so you know you’ll be saying “aah” in these cozy linens. The sheets are 100% micro-fiber twill and extra breathable and the material also wicks moisture away from the body. Linen can be a good material for hot sleepers thanks to its ability to absorb moisture and the way it allows for airflow. 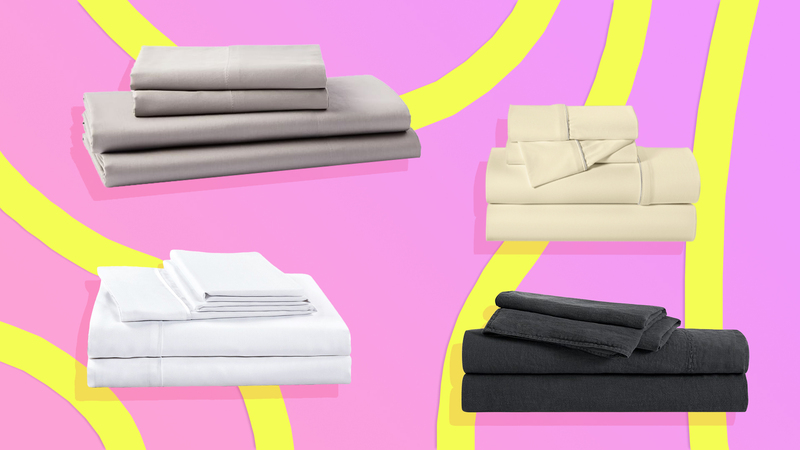 Brooklinen’s sheet set, made from Belgian and French flax, are a chic way to rest easy. With the word arctic in the name, you know this bedding is all about keeping you cool. Made from TENCEL, these super soft sheets utilize SHEEX®CoolX™ Technology, which is specifically designed to keep the body from getting too hot at night. What sets these sheets apart is their CoolMax fabric. CoolMax helps moisture evaporate quicker by pulling it away from the skin and spreading it across the fabric. Ideal for anyone who tends to get sweaty at night, these sheets are also a bargain since they start at just $25. Say goodnight to shoving off your sheets in the middle of the night with this high performance, athletic grade Smart Fabric. Their Original Breathable Sheet Sets help regulate body temperature whether you’re too hot or too cold, making it easy to be well rested no matter the season. Help regulate your body temperature throughout the night with these sheets expertly designed to wick away moisture. They’re also lightweight, allergen reducing and even boast being wrinkle free. Crisp, cool sleep awaits. Get deep sleep dreaming away on this sleek bedding set. These sheets use activated carbon from natural coconut shell fibers to constantly adjust to your body’s needs for more or less warmth – which is a fancy way of saying you’ll wake up feeling fresh and well rested.